With the smell of coffee wafting through the halls from the early morning till late at night. 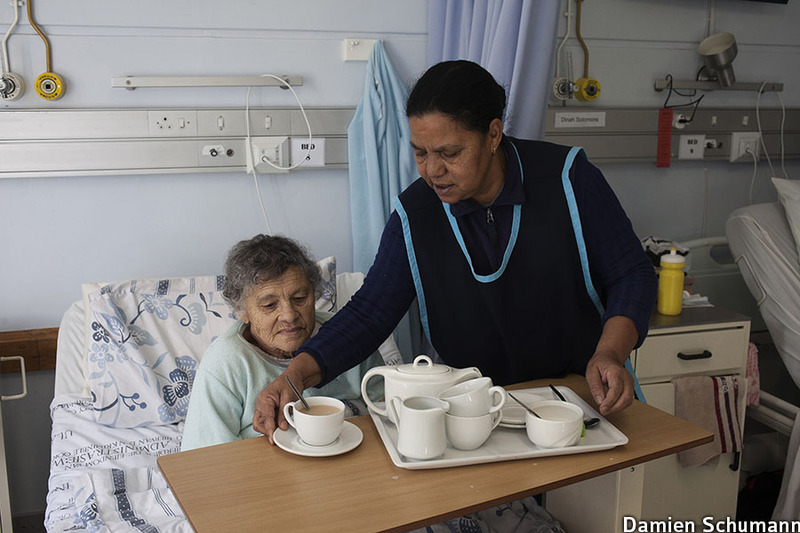 The Stellenbosch Hospice is a constant buzz of human energy. The chattering of the carers and staff keeps a positive environment to what one would expect to be a dreary place. The feeling of family is instantaneous, with sibling types of bickering and a maternal touch throughout the ranks. All interaction is based on love and respect within the matriarch of the work atmosphere. In my time at the Hospice I began to pick up on something quite melancholic, throughout the week I would hear four kinds of cries which to me seemed very symbolic of what life represents. 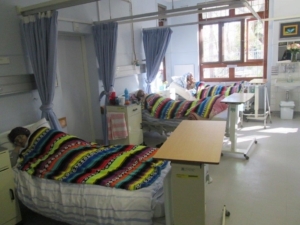 Within the Hospice one hears the crying out of pain from the patients, a heart-breaking struggle to hear as the people fight against their disease. An internal struggle that can only be understood through their cries. The cries of life’s regrets and the cries of wanting to still accomplish so much and although the pain can be crippling one can still hear within that the outcry of hope. 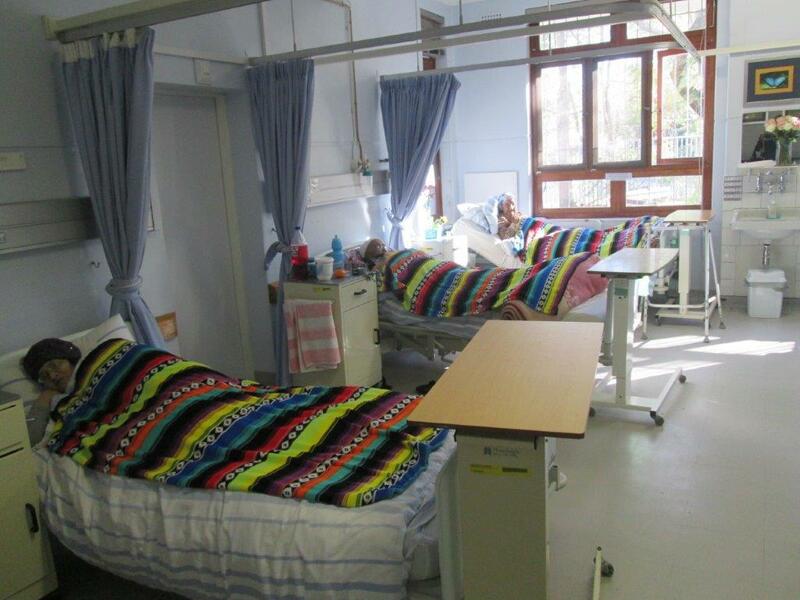 Furthermore, one can hear the cries of the family of the patients as they find rest. The pure emotion displayed by the family shows the love that flows through people. It gives evidence to the fact that we are not alone on our journey, that our presence connects with others so much that when we are no longer around they feel sadness into their core. This cry symbolises not only love but also peace for the fight has finally come to an end, where one journey comes to an end it evokes a journey within another person. No end is ever truly an end for every person has a story which has touched some person’s life in some way or another. The next kinds of crying are technically not within the hospice but above the hospice, in the maternity ward. When I found out that there was a maternity ward above the hospice I found it a beautiful contradiction. Where life is perhaps coming to an end and where life is beginning. The cries of the mothers in pain echoes through the hallways as a force as strong as the ocean pushes these mothers to get their babies out into the world, this pain also changing them irrevocably as their lives are about to be turned upside down and feel a love they could never have expected. Then as if a crack of sunshine in the darkness you hear as clear as day the scream of a new born baby. The most beautiful sound in the world, the announcement that they have arrived. A reassurance to their mother with whom they have already bonded eternally with to show them that they are fine and so the cycle of life begins and ends within one building. Although, some may find this sad, I only see the nature and circle of life doing as it should, and within such a caring organisation, with people who genuinely care about each other and their patients I wouldn’t want my life to begin or end anywhere else.